While I may not want to admit it, I have a major problem with stress. I am habitually biting off more than I can chew and it usually ends with me being overwhelmed. As part of my new year’s health resolutions, I am trying to not only lose weight, but manage my stress. One of the ways I plan on doing this is adding more aromatherapy to my life. While looking at different products, I was approached by Puritan’s Pride, a well known supplement and aromatherapy company. When I found out they wanted me to try some of their products, I was truly excited and couldn’t wait for my review box to arrive! For over 40 years, Puritan’s Pride has been making high quality nutritional supplement and aromatherapy products. Based out of Long Island, NY, they are proud to have their own facility in the US where many of their products are made in the United States. As well, they use the best quality products from all over the world, which are hand selected, allowing them to make high quality products and keep their prices low by cutting out many middle-man costs. As well, they try being as environmentally conscious as possible, using recycled boxes and combining orders to try keeping their carbon footprint to a minimum. With their high quality products, you know you are getting the best with Puritan’s Pride! I will freely admit, I have a large collection of essences for soap making and for therapy. To me, aromatherapy is a great way to relax and does a great job at relieving headaches. Best of all, it is the best natural perfume. As someone who uses essences, I have to say I especially love the fact that their essences are 100% pure. While some people claim you can’t tell the difference, I have found that imitation essences don’t work as well for aromatherapy, and just don’t have the same effect on my headaches. 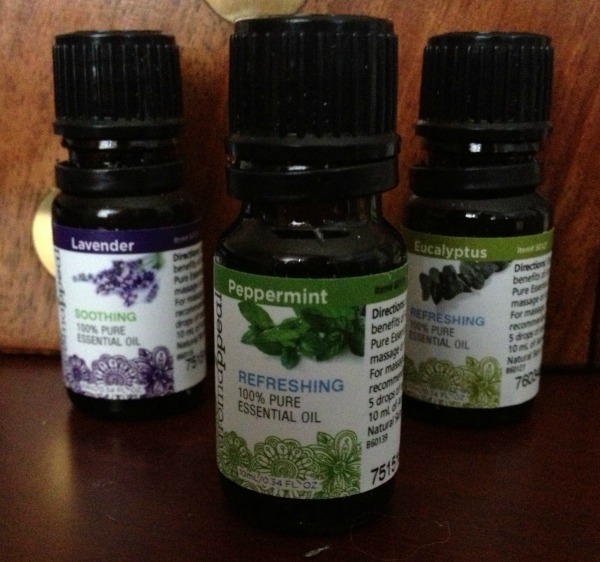 Out of the 3 essences I received for the review in my Puritan’s Pride aromatherapy products box (peppermint, lavender, and eucalyptus), I have been using the peppermint the most since it truly helps put you in the Christmas spirit! Along with the 3 pure essences, I was also sent a bottle of Wonder Oil in my box of Puritan’s Pride aromatherapy products. This was a fairly new product from me. While I have yet to try it as a hot oil treatment, I have found that it is a great cuticle oil! Best of all, it has the most wonderful citrus scent. When you open the bottle, you can immediately sell the lemons and grapefruit. I am personally looking forward to try this as a bath oil next! Out of all the Puritan’s Pride aromatherapy products I received, the plugin ScentBall has to be my favorite. As someone who has purchased various diffusers and plugin products over the years, it was refreshing having something that was not only naturally scented, but uniquely designed as well. For this product, all you have to do is put 5 – 10 drops of essence on one of the provided pieces of paper, put it in the plugin, and your entire room smells amazing! Currently, my entire basement office smells like peppermint, allowing me to truly relax and unwind all day long, despite a busy schedule! As someone who loves aromatherapy, I have to say that I love my Puritan’s Pride aromatherapy products. These high quality products are exactly what a busy girl like me needs during the busiest time of year, and its great knowing that I can make my house smell amazing without using synthetic chemicals. Based on my own experience with Puritan’s Pride, I am happy to give their aromatherapy products an A rating! Would you love to purchase some of these amazing essences? You can purchase all of these amazing Puritan’s Pride Aromatherapy Products on the Puritan’s Pride website. At the time of this review, they also had all of their aromatherapy buy 1 get 1 free, allowing you to get the most for your money! Once you have tried these amazing aromatherapy products, you will see why so many women love Puritan’s Pride! Wow, these products look wonderful and relaxing! I had no idea that Puritan's Pride offered these! I will definitely look for them. Thanks for the Post, Picture's and the Link! I have anxiety attacks on a regular basis. Its worse now, since I quit smoking!!! Now Im stressing and getting fatter every day. If these would help in any way, they would be a Godsend. I would love to use that plugin during the day to relief stress, and to put in the bedroom at night to calm. The oil sounds wonderful! I would love to use the plugin in my sons room. One has ADHD and the other Autism, the lavender oil flowing gently into their room as they sleep would be a very good thing. I have been buying Puritan Pride vitamins for years and didn't realize that they sold aromatherapy products! I am definately buying the ScentBall! What oil works best for headaches? Ii suffer from migraines and so do two of my kids. I will also be buying lavendar, with four kids, two with special needs, we could al use a little calming! I have ordered from them before, great company! I love these oils and this is a nice review. The review was complete and very descriptive. I swear I could smell the oils, especially the lemons and grapefruit. I love the little plug-in. I am a fan and past consultant for one of the "diffuser/melts" companies and the inobtrusive plug-in is a nice touch. You don't have to worry about matching your decor 😉 I am very interested in the products. I am a Puritan's Pride vitamin enthusist. I can only say that I would totally love this product as a healthy pure way to calm and surround myself with calmness. I have a hectic house- and this would totally benefit me by putting my "space" in a positive place (if that makes ANY sense). I believe in aromarherapy- and i could use WHATEVER source possible to help relieve stress…and I truly believe this would help. Peppermint has a natural anti…nausea effect on people as well as feeling of holiday happiness…i could DEFINITELY use both! I have used Aromatherepy for years now and I love the way it relaxes me. I haven't tried Puritan's Pride since this is the first of this site. I will defienately try it with my next order. Thank you so much from me and from Budget Earth. I would really like to try the wonder oil. I love the smell of fresh citrus. One of my favorite perfumes has a citrus smell to it and it lifts my mood whenever I put it on. I have spent the last year educating myself on essential oils and it is amazing how you can improve your overall well being by knowing how to use these very versatile oils. My personal favorites are tee tree oil and a eucalyptus/lemon blend. Thanks so much for your review. I didn't know that the artificial ones did not help your headaches as much as the natural ones do. I love all the fragrances ad would love to win so that I can try the citrus smelling oil you described in your review. This looks wonderful. I have been looking for something to help with myself and my daughters eczema. I have heard good thing about Puritan Pride's products but have never tried them. I would like to try them for myself soon. I really love essential oils. I use them as often as possible. I have started making my own cleaners, etc. with essential oils. Thanks. I have not tried these yet, But would love to. Especial the oils to help me relax. I am disabled in constant pain at night and the releif would be so welcomed. Thank you for sharing with us. Puritans Pride is a great company. I have orderd from them for years. I really enjoy aromatherapy, believe it improves your mood and health. Great review and thanks for a chance at the prize package. I love essential oils. Synthetic, chemical products give me migraines. I love aromatherapy too, it really makes a difference! I usually use an oil burner, they seem to work best for me. I have bought various brands of the plug in types and they never seem to really work. Anxious to try the scentball after reading your reveiw. Thanks! Thank you for this review of Puritan Pride. I am just getting into essential oils & am not beholden to any one brand yet. The ones I've gotten have been from a seller on Amazon but Puritan Pride's prices are great too. I will probably buy from there in the future rather than a 3rd party seller on amazon. I've used essential oils for years as a massage therapist, so I know a lot about their therapeutic value. Was nice to see a review on them on your blog. As someone who suffers from chronic pain and a seizure condition made worse by stress Aromatherapy and Essential Oils have been a true blessing in my life. The Lavender oil I've used in the past for massage and it has been incredibly helpful, also Peppermint I love due to its calming effects on me and migraine headaches I often suffer from. 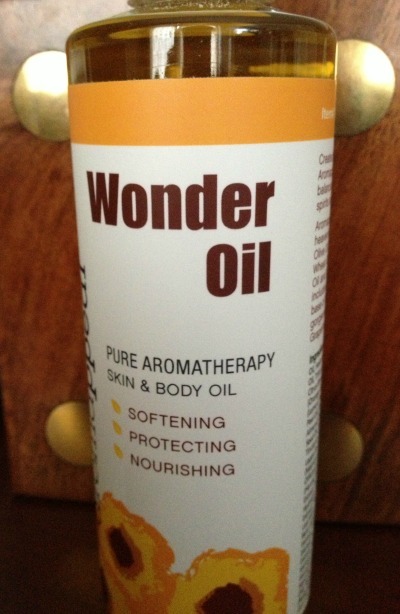 I've never tried the Wonder Oil but hopefully I will be able to soon and use it as another massage treatment. I love aromatherapy and use it every day. I don't have a scent ball and would like to have one. I didn't realize that Puritan Pride offered the Aromatherapy Products!! I definetly will have to try your products out especially since I suffer from stress and headaches. I honestly could use some relaxation since I am a mom to 7 ages range from 9 yrs old to almost 6 months old! Thank you!! I have never heard of Puritan's Pride before! Thanks for such a great review! I like the plug-in diffuser, I've never seen one like that and it would be nice to have one that puts out something more natural than the other chemical laden ones!!! These products look amazing. I am so into aromatherapy and find that it really does help me to relax. I love anything lavender scented that really works for me the best. These sound great! I need something that is relaxing…I'm stressed a lot and I have troublke sleeping at night, but I do not like taking a sleep aid. My adult son has health problems but just can't seem to quit smoking without suffering even more headaches and such. I am interested in seeing whether something like this aromatherapy product might help him. I'd love to try the ScentBall. It sounds amazing. Recenly, I have been looking into aromatherapy and essential oils as a natural remedy/treatment of common ailments. I'm glad to know Puritan's Pride is a brand that I can trust. Thank you for the review! I would love to try several different kinds of Puritan Prides Aromatherapy Oils! I definitely could use some for stress and pms every month! They do seem really relaxing. I would love to try different kinds. I suffer from anxiety I hope this really works.I will try anything to help control these attacks.thanks for the post. I am a huge and long-time pUritans Pride customer, although I have never tried their aromatherapy products. I will get some next time I place an order! I have a lot of trouble with sleeping and anxiety so I am hoping these would help. Thank you for the giveaway!